Human Intestinal Microflora in Health and Disease deals with human indigenous intestinal flora, the vast assemblage of microorganisms that reside in the intestinal tract. It contains information on the composition of the flora, its development, metabolic activities, importance to the host, and the consequences of upsetting its ecology. The book is organized into four parts. Part I examines the composition and development of intestinal flora. Part II deals with the metabolic activities of intestinal microflora. These include studies on carbohydrate metabolism in the human colon; the compounds used as nitrogen sources by gastrointestinal tract bacteria; and metabolic transformations of xenobiotic compounds carried out by intestinal flora. Part III examines the importance of intestinal microflora, including its role in intestinal structure and function and in suppressing the growth of pathogens. Part IV discusses the factors that can disrupt the ecology of intestinal microflora, such as antimicrobial agents, pseudomembranous colitis, and dietary and environmental stress. 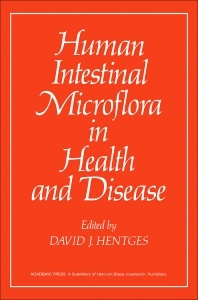 The research presented in this book will be of interest to both basic scientists and physicians concerned with the effects of the intestinal flora on human life. III. How Does Stress Influence the Gastrointestinal Ecosystem? IV. Can We Adequately Measure Changes in Microbial Populations in the Gastrointestinal Tract?